There can occasionally be confusion as to what is actually bundled in a cruise ticket. The mainstream belief is that every cruise is all-inclusive, but the reality indeed varies. To be sure, any cruise vacation is a fantastic value, largely in part because of what is always included with a sailing. Even a bargain voyage offers guests their chosen cabin accommodations and plenty of dining, activities and entertainment options for free. That means all passengers have included access to one or more main dining rooms for complimentary breakfast, lunch and dinner as well as the buffet. There is never a shortage of free food, particularly since many cruise lines offer some alternative restaurants without charging either. What is not so freely included are beverages. You can always get purified tap water and (generally) regular coffee, tea, milk and a few juices without paying. But anything else is often extra, depending on the cruise line. So, a beer or glass of wine is usually not included outside of a la carte or package pricing. 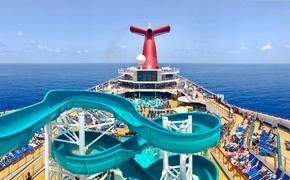 Activity and entertainment-wise, most everything on board is available for free. From simple group trivia games to lavish production shows, passengers can almost always participate and attend free of charge. When you think about it, it’s really quite remarkable that such a high level of quality diversions are complimentary when they could easily cost a substantial sum on land. Of course, there are some things that should come as no surprise for not being included: namely the casino, spa and salon treatments, internet access and calling, shopping, art auctions and shore excursions. READ MORE: Can I Finance the Cost of a Cruise? The bottom line: The core cruise experience of being pampered in a comfortable stateroom and being dined (if not wined) and entertained for free is still very much the attainable dream. In fact, that alone used to be the cruise allure. If ever it seems that cruise lines are nickel-and-diming their passengers more today, it’s because of additional specialty restaurants and entertainment options that are not requirements. A fully enjoyable cruise can still be had without these newer added-cost extras, but it’s worth determining that for yourself. Ever larger cruise ships have made it possible to encapsulate both the included cruise experience—for those wishing to stay within a certain budget—as well as optional venues beyond, available for a surcharge. Thus, specialty dining was born to include premium choices that are still reasonably priced. Many consider them a worthy splurge to try new tastes at subsidized costs accordingly. 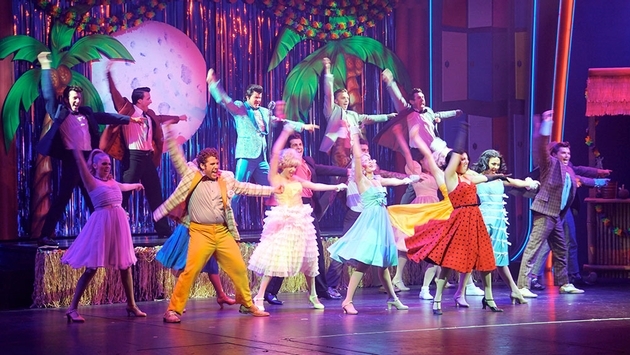 In a similar fashion, specialty entertainment has more recently emerged with the chance to see high-profile musical artists or comedians in concert at a fraction the shoreside equivalent's cost. Again, it may be priced above the regular cruise fare, but it is a justifiable expense to tack on in many cases. Where the line between complimentary and surcharge begins to blur is in the all-inclusive cruise line arena. Naturally, the more a guest pays up front, the more that will be bundled for free to begin with. Luxury cruises cost more at the bottom line, but per diem costs can often come in at a better value if you desire to partake in everything. Meanwhile, if you’re content with a traditional cruise lifestyle without all the bells and whistles, you can inversely save in the process.